For children 18 months through 3 years old, Aidan's Toddler Program feeds the burgeoning need for independence, exploration, and socialization. 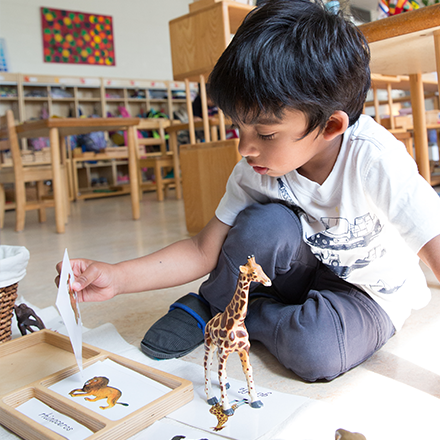 For children 3 to 6 years old, Aidan's Primary Program nurtures focus, as students independently use self-correcting materials in beautiful prepared environments primed to feed their absorbent minds. 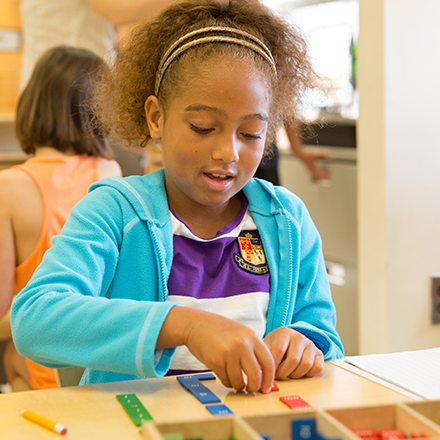 For children from first to sixth grade, Aidan's Lower and Upper Elementary Programs fuel a developing need to understand the larger world by laying the foundations to help them collaborate and solve problems innovatively. 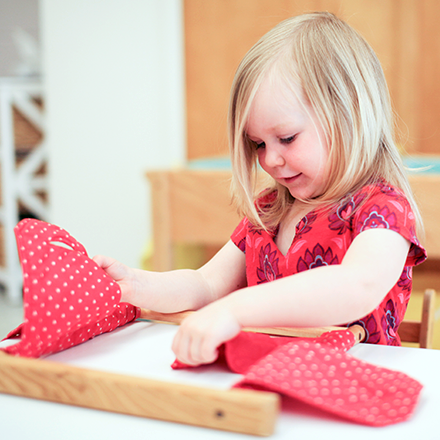 Is Aidan Montessori School the right fit for your family? Visit, see our students and faculty in action, and find out.